We were never good at it. My son starved the first three days of his life because he couldn’t latch, had some sort of tongue tie, and no one would teach me how to feed him properly. On the day that I was supposed to be discharged, a life saver of a nurse noticed our issues and that my son wasn’t really eating. She called a lactation consultant immediately. I thought that consultant was going to save us. Instead, she made me feel guilty. She was rushing, and just didn’t understand why this was happening. I was an overproducer from the start, and here I was, not able to feed my son. She seem to not like formula or bottle feeding but was forced to tell me to do so in the short-term to get my son’s weight back up. I felt like a failure. All that remained in my mind was how much I had failed to feed my son. He starved for food, and I couldn’t help him. He suffered because I didn’t do what I should have been able to do naturally as a mother – or so I believed. I wanted that to understand this and show some support and empathy. Instead, I felt judged and rushed. I panicked and nearly fainted when I tried to leave the hospital. They refused to discharge me. I remained there for three more days, wondering what could have happened to my son if that nurse had never noticed our issues. In the weeks following, it was a continuous struggle. I was in considerable discomfort from engorgement. My son never seemed full, and I was constantly producing. I had two home consults with another lactation consultant. It was always amazing and seemed to work when she was there. When she wasn’t, it was hard. I went to a breastfeeding support group twice a week for five more weeks to ensure he was being fed. I focused on going because at least then, I knew he was eating. Weighing him gave me hope that something good was happening, even if I felt differently at home. I kept trying to convince myself that his gain was my doing. I did this for him, and I’m succeeding. We kept nursing. I only used formula when we went out because I hated nursing in public and found it difficult. He continued to thrive. I thought the worst was behind us, and I would carry on as if the first few weeks had never happened. Until one day, around 3 months, he decided he didn’t want to nurse anymore. I thought that I would be excited. No more nursing ! My life would no longer be split into shifts each day. Maybe it meant freedom from all those nursing related things. Then, it changed. The thoughts of my son’s well-being overtook my mind. Breastmilk did so many things for infants. I was still producing and had ample supply, so I could still contribute to his health. I could still give him milk, even if not directly. So, I decided to exclusively pump. I did it from months 3 – 11. 8 months of letting a machine dictate my schedule. Even as my supply dwindled towards the latter months, I kept at it. Once I returned to work, I saw my son less. I felt that since I couldn’t physically be with him, pumping milk was my way of contributing to his growth. Additionally, it gave me time in the mother’s nursing room at work. This meant I had personal and private time to deal with my Postpartum issues. Around 11 months postpartum, I finally decided to wean off the pump. My son was thriving and eating well. He was going to transition to whole milk soon. It was time and this change was finally, of my own choosing without judgement or opinion from anyone else. I did my job, and I did it well. Weaning proved to be a little bit of a game changer. It was a very slow process for me. Again, while I thought I would be ecstatic, I was also facing mixed feelings. I no longer had this way of supporting my son. His infancy would be over soon, and so would this way of contributing to his growth. It was another phase of life. Also, it meant that I would be giving up my private room at work, which had been a safe haven for some time. There was also the change of hormones that came with weaning; they made all these new feelings much stronger, and in some cases a little tough to escape. I wavered over my decisions sometimes. I tried to overcome them by reminding myself of the accomplishments that I made, and the time that I would have for myself, and for my son. About halfway into my weaning schedule, I was referred to a specialist for a persistent ailment. They prescribed medication, but were concerned because they had history of showing up in breastmilk. They were small amounts, but the doctor did not advocate nursing women to take it. She told me that it was entirely my decision and that the amounts in the milk were small. Since I was weaning, she asked if I wanted to wait until the weaning process was over or begin treatment now and discard the pumped milk. It was a hard decision. I was tired of pumping, but I wanted to stop on my own time. I wanted to choose what felt right to me. I also wanted to hold onto the last bit of what I felt was the tail-end of my son’s infancy. He was nearly a toddler. I always had the goal to stop breastfeeding after his first year (personal and professional reasons – I know it’s perfectly fine to nurse into toddlerhood. It just wasn’t in the books for me). I just didn’t think that someone else or something else would choose for me. I was also tired of suffering from this sickness. I held off care because I knew that many medicines would find their way into the milk. I didn’t want to jeopardize my son’s well-being in any way, so I avoided medication if I could. However, it was time to take care of myself. I decided to pump and dump. It was heartbreaking to decide this. It was not planned, and came much sooner than I wanted. I had one last “safe” bottle for my son, and I wanted to be the one to feed it to him. When I finally had to do it, it felt like a funeral procession. As I was preparing the milk, I slipped and half of the contents spilled onto the counter. I was devastated. It was as if the last of piece of my plan was again just taken away. I actually cried. Since there was still a few ounces left safely in the bottle, I transferred it to a new clean bottle. I handed it to my son, who happily accepted it. I pulled him into my arms and brushed his hair with my hand. I held him a little tighter than usual, hoping that he would slow down in drinking the last of what I had produced. As he finished the bottle, I sighed slowly. As much as I had wanted the discomfort and the inconvenience of pumping to end, I wasn’t prepared for how it would make me feel. The bottle soon fell ceremoniously from my son’s hands, marking a bittersweet ending of our nursing journey. Definitely teared up on this one. We’re slowly heading into weaning ourselves, though I’m not sure either one of us is really ready for it. I’m still trying to figure out what’s best for us, and that’s all you really can do. What’s best for you and your little one. Thank you for sharing your journey with us. I am amazed that you were able to pump exclusively that long. I didn’t enjoy breastfeeding either but did it because I knew it was the best for my babies. My middle child had a very hard time nursing too. However, when each of them turned one I weaned them and was SO happy to be done with it. Breastfeeding is an emotional one. I had issues when I started but eventually both of us got used to it, My son is 14 months old now and still breastfed. The thought of weaning him off gives me chills. You made me cry! You did everything you could for your baby and you’re an awesome mama. Breastfeeding is such an emotional and very personal journey. I never wanted to do it, but decided it would be best to nurse my daughter for at least 6 months. Well after we got the hang of it I ended up loving the bond that we had through nursing. I didn’t wean her until 19 months and it was a very slow process. Now I’m nearing the end of nursing with my last baby and it’s wreaking havoc on my hormones. Ugh! We struggled a lot with breastfeeding. I was upset when we had to finally stop, but I knew it was better for our family too. There are so many emotions involved with breastfeeding. Thank you for sharing your breastfeeding and pumping journey. It is awesome that you were able to pump for so long. 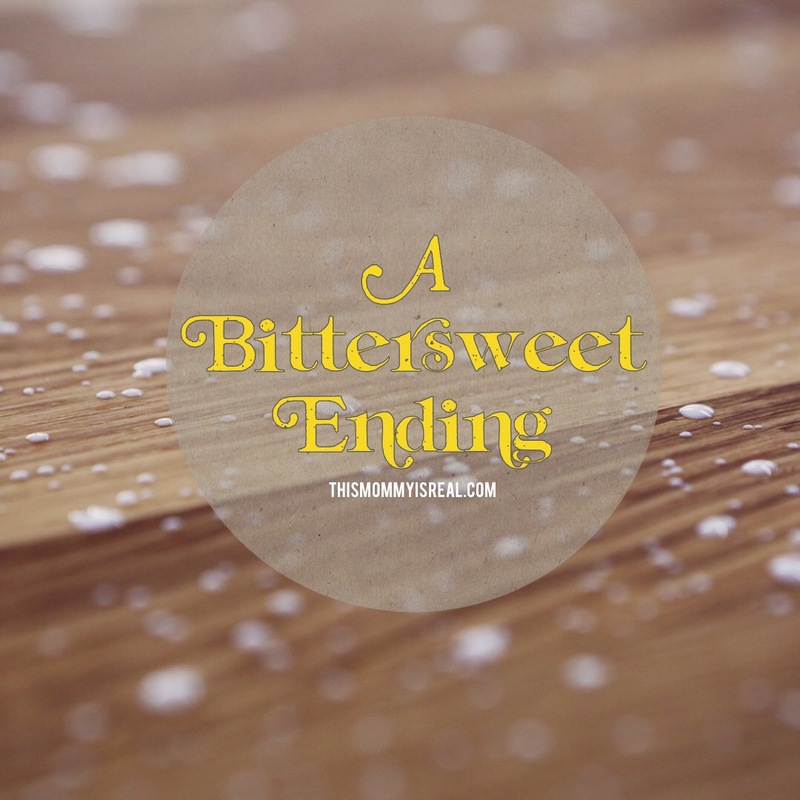 I think the ending is bittersweet for almost every mom. Breastfeeding is so hard. I’m stoll breastfeeding my almost 2 year old and due in 8 weeks with our second, desperate for a break. You did good, mama! Great post! There are so many bittersweet moments that come along with motherhood but at the end of the day being honest with yourself is the best choice for you and baby! I nursed and weaned all three of mine just as they were becoming toddlers. I love breastfeeding and have done it with both my kids and still do with my son who is 15 months old, I will probably keep doing it til he is two! I never thought I would enjoy breast feeding. I was the same way, I knew it was good for my Nugget but I did not feel strongly one way or another. I actually cried the day that I knew would be her last time. It was a bonding experience I never imagined. Isn’t that amazing ? Kudos to you for doing it despite how it made you feel! That’s a big achievement. I feel so much the same about breastfeeding. Even with the discomfort and inconvience. It was bitter sweet nursing him for the last time. I’m still glad I did it even through the hard times but it wasn’t my favorite thing either! Exactly ! I think we are the majority!